BRIGHTON, Mich. - With a debut expected in Detroit this January, we've been given a sneak peek of the 2015 Ford F-150 that is sure to satisfy our curiosity until the reveal. 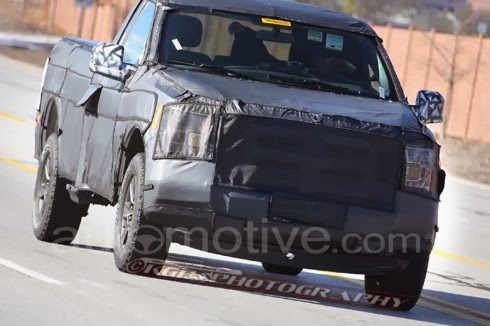 Especially because one thing has become very obvious looking at the spy shots - the updated F-150 looks strikingly similar to the Ford Atlas Concept. The Ford Atlas Concept debuted this past year at the Detroit Auto Show, giving fans and auto journalists a chance to fawn over the hard lines and beefy look. 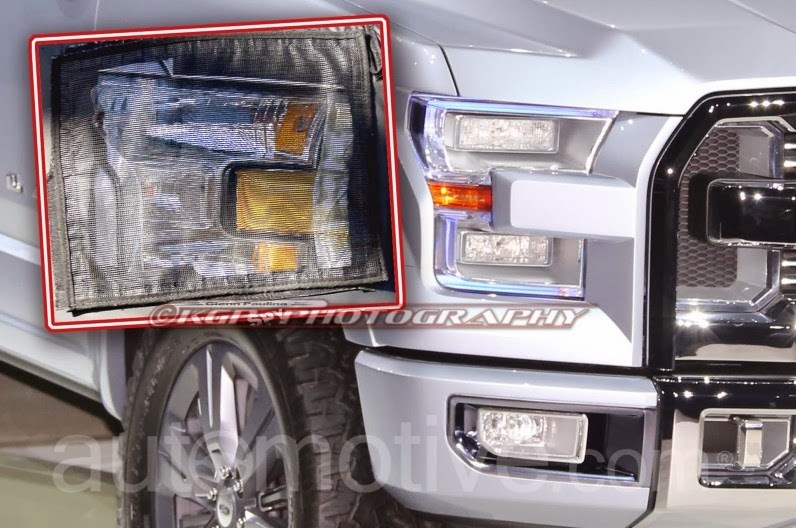 This fantastic exterior appears to be influencing the 2015 Ford F-150 - especially in the face. The shots of the F-150, despite having thick camouflage covering, reveal that the vehicle will adopt the Atlas' grille and rectangular angles. The Atlas also had a great pair of LED headlights and taillights that came with unique shutters on the grille and wheels to improve aerodynamics, which the F-150 is expected to get something similar. As for powertrain and performance, nothing will be confirmed until the debut in January. However, it is expected that the new model will continue to offer a 5.0-liter V8 engine, along with a turbocharged 3.5-liter V6. Fuel economy is also expected to improve significantly since Ford has confirmed that they are making a few changes to the engine and shedding quite a few pounds with a new lightweight aluminum build. Unfortunately this sneak peek of the 2015 Ford F-150 hasn't provided us with any specifications. However, we won't have to wait too long until the vehicle is completely unveiled in January at the Detroit Auto Show. After the unveiling, it will be a couple more months until the vehicle is for sale on our lot next fall. Until then, we have a great selection of Ford F-150s on our lot - all ready and available for you to take for a test drive. If you'd like to see how it feels to get behind the wheel of one of these powerful and efficient Fords, stop by our dealership today! We will be more than happy to assist you with anything from Car Loans to Used Car Value to Low Mileage Used Cars. We're here to help!